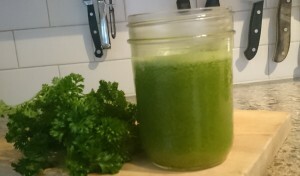 Juice cleansing is often called “Juice Feasting” because you are not starving at all. In fact just to opposite is true, you are being fed quite well. This style of cleansing can be sustained easily for 3 days, 7 days or 10 days, some people with deep systemic illness, I’ve witnessed clients doing a 30 day cleanse. Although a 30-day cleanse is not generally taken on by a first time cleanser. You might want to build up your confidence as you experience the benefits. Your body will be changed for the better no matter the length of cleanses you do. If you have never done this style of cleansing before, be kind to your self and start with a time frame that is shorter and doable. Setting yourself up for failure is not much help to your health or your psyche. After working with so many clients who are on juice cleanses. I can report that they are moving toxins out at such a rate that the colonics are a great benefit. They report a great relief from the treatment. While they are absorbing all the vitamins, phytonutrients and minerals, the digestive system has little to do. This leaving the body time to clean house or should I say “clean body”. “Dr. Gerson’s therapeutic program seeks to regenerate an ailing body by bringing it back to health by flooding the sick patient with nutrients the nutrients come from raw juices … generously consumed” from “The Gerson Therapy” by Charlotte Gerson and Morton Walker D.P.M.